Why was this then out-of-the-way place chosen? Because gold had been discovered about seven miles south of present-day Prescott in 1863. Joseph Reddeford Walker led the first documented exploration of what is now Yavapai County, and they found gold in the headwaters of the Hassayampa River. The town was soon founded near the site of Fort Whipple, to protect miners and settlers from the Indians. This was during the Civil War, and sentiments ran high. The Confederates declared the southern part of what is now Arizona a Confederate Territory, but the federal government was determined to keep the barren territory and what mineral deposits it contained. Mining claims were filed in the area that’s now Yavapai County, and by March, 1864, the town that became Prescott had several buildings, including a store. The following month, land was claimed for the territorial government. What became known as the Governor’s Mansion, though it is really a large log cabin, was built in what is now the city of Prescott. Governor's mansion, Prescott, built in 1864.
restaurant in the state.” We took in a cowboy music show, and revisited the Red Rock Country around Sedona. Back in Prescott, I found the Sharlot Hall Museum to be a treasure trove of local history. This museum was begun in 1928. Miss Sharlot M. Hall, a rancher’s daughter who realized the historical importance of the buildings and artifacts in the area, had leased the former Governor’s Mansion to live in. She began collecting and displaying items pertinent to local history. Today, the museum complex contains nine major structures, including the house of John C. Fremont, who was the fifth territorial governor. later as a store and a boardinghouse. In the nearby library and archives, I was able to spend a day digging deeper into the history of Prescott, its people, and the development of stagecoach lines in the area for my upcoming book My Heart Belongs in the Superstition Mountains. An added bonus for me was a collection of teapots in the Exhibit Center from the Bar Circle A Ranch. With Guideposts Publishing, I am launching the Tearoom Mysteries series, and I have written the first book, which releases this summer. My sisters and I love antiques. The unexpected chance to view an early Prescott woman’s teapot collection was a special gift, one of many happenings that made our trip memorable. Unless otherwise noted, photos in the above post are by Miriam Cook. 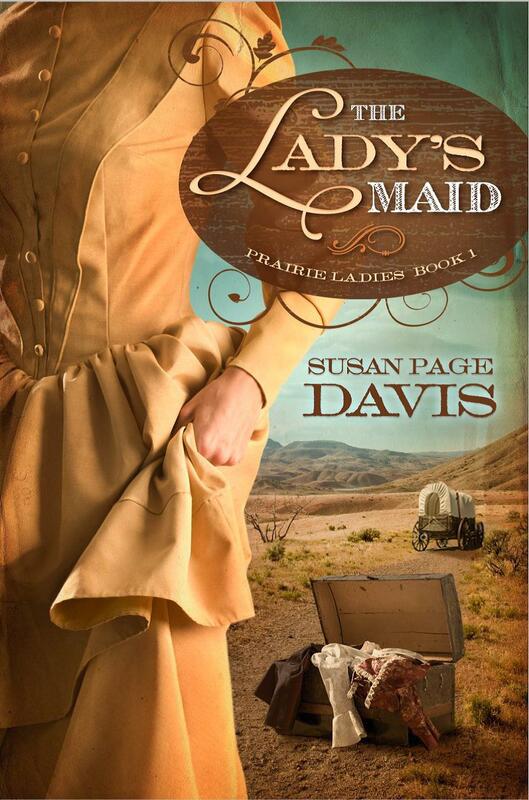 Giveaway: I am giving away a copy of The Lady’s Maid, one of my western romances. In it, an English lady and her maid join a wagon train going West. If you would like to win a copy of my book, leave a comment below and include your contact information. Susan Page Davis is the author of more than sixty published novels. She’s always interested in the unusual happenings of the past. Her newest books include The Seafaring Women of the Vera B. and The Cowboy’s Bride Collection. She’s a two-time winner of the Inspirational Readers’ Choice Award, and also a winner of the Carol Award and the Will Rogers Medallion, and a finalist in the WILLA Awards and the More Than Magic Contest. Visit her website at: www.susanpagedavis.com . This was very fascinating...thanks for sharing. Love the pictures! Thanks! My sister took most of these. It's hard to find an unphotogenic view in Arizona! I enjoy learning about history and reading historical fiction novels. This one sounds great. Thank you, Susan. I'm with you! Isn't it wonderful? The picture doesn't show nearly all of them. What a beautiful teapot collection. I collect teacups, so my eye immediately went to this picture. Thanks for the history lesson on Prescott. Thanks, Heather. I have a few teacups too, that were my mom's and my grandmother's. Thank you for sharing Prescott with us. I have never been there but I may have to change that before long. Love the tea pot collection! There's a lot to see there, Melanie. I didn't show you a fraction of it. Thanks for sharing your trip with us Susan. I have learned so much about our history reading Christian historical fiction...funny, I wasn't much into history in high school. The pictures are wonderful, love the teapots. There are stories everywhere we go. Thank you, Tina! Great post! 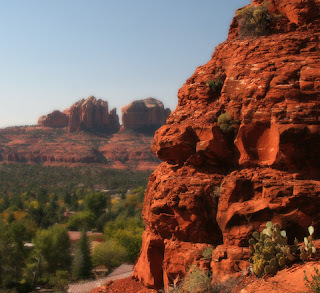 I've visited Sedona a few years ago, but unfortunately it was just one of the stops on our cross country trip. We only had one full day and we didn't visit any museums or manors. Would've loved to! Thanks for sharing with us and the giveaway. Prescott is a great place because it's not far from Sedona, Jerome, Cottonwood and other places of interest, so there's always something to do in that area. My nephew went to college in Prescott, but I didn't know anything about it. Thank you for sharing. Your book looks great. You should go look around sometime. There are tons of antique shops in the area if you like that, and all sorts of hiking and other outdoor opportunities. And the weather was gorgeous in late January! I would love to win The Lady's Maid. I love the era and love to read. Thanks for offering this giveaway and I hope to win. Thank you, Debbie. You're name's in the hat. So interesting! I'd love to win! Thank you. Kate, thanks for stopping by. You're entered in the drawing. How fun to visit Prescott for your research! Looks like you got to do & see quite a lot of fun things. Finding the tea pot collection was exciting for you I bet!! Love all the pictures you shared. I was really glad I budgeted a week for this, Trixi. We hadn't figured on the holiday on Monday, and the archives were only open certain days. We managed to do all the things we really wanted to do and also get in the pool and take in a cowboy show and hit the thrift shops and antique stores and do a little hiking. We could have taken a day to go up to the Grand Canyon, but decided not to this trip. 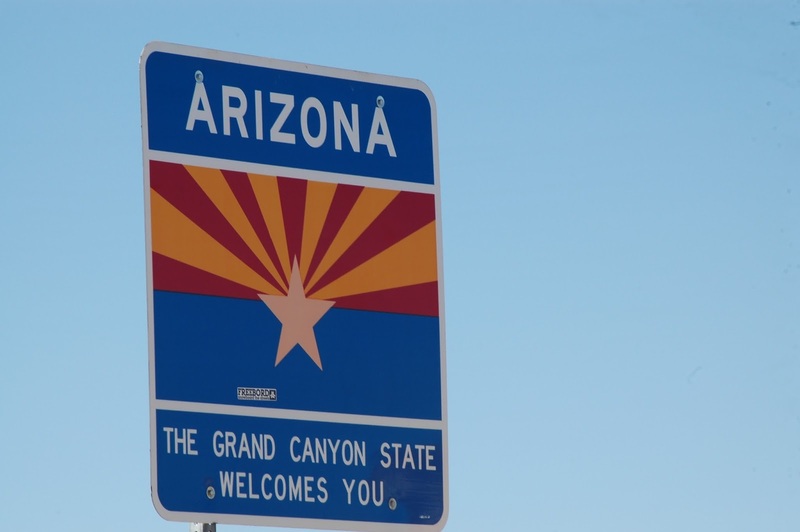 It looks like you learned a lot about AZ on your trip. I'm glad you had a good time and got to see your sisters. Oh, yeah, Sister Days is always a favorite getaway. We try to do it once a year, but sometimes it doesn't work out. We've traipsed through Amish County, Concord, Mass., and lots of other places together, and it's always more fun with sisters along. AZ has some much to see and do love it when I am able to take a vacation down there. kamundsen44ATyahooDOTcom. You said it, Kim! There are still lots of places in AZ I haven't seen and would love to. Maybe I'll be blessed and get to go again. I love this visit to Prescott you've shared, Susan! The teapot collection is lovely! Thank you, Britney! I have to say it was a real surprise in a museum where I was prepared for Indian lore, outlaws, and mining heritage. I got all that and teapots too. You're welcome, Anne. I enjoyed telling you all about it. I'm still trying to figure out how that tiny log cabin was a fort. Thanks for joining me, Jan. I love it when these fascinating places are preserved. It's just like taking a step back in time and that's just priceless. Thank you for sharing. It really does make me think about preservation too. Thanks for entering, Beth. Howdy from Nicaragua! I love the history from this blog. I'm ready to escape back to the old west of Texas in a couple of months. Hi, Melody! So glad you came by. I hope you get to have your wild west break. Fascinating post Susan! It's amazing that the Wild West era still holds such mystic even today. True, Caryl. Westerns may not be as popular as they used to be, but I don't think the fascination will ever go away. The winner of The Lady's Maid is Susan Lulu. Thank you all for taking part!